The Regional Laboratory System is an inter-dependent network of laboratories in each of EPA's ten regional offices. These laboratories provide the analytical, technical and programmatic support that is critical to accomplishing the Agency’s mission of protecting human health and the environment. The regional laboratories ensure that analytical and technical expertise are available at the regional level and are well positioned to rapidly address the ever changing needs of a variety of environmental programs and help meet state and local partners’ needs. The EPA does not accept samples from the public and we do not recommend or endorse commercial laboratories. 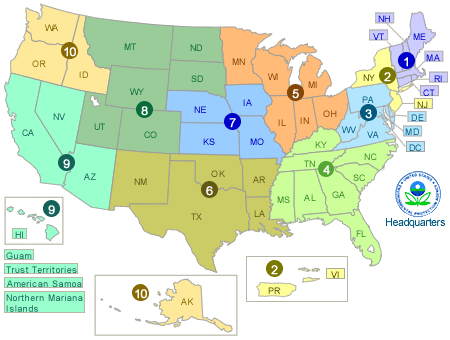 EPA has ten regional offices, each with a regional laboratory responsible for several states and territories. To get information about your regional laboratory activities, select your state or territory from the map below.